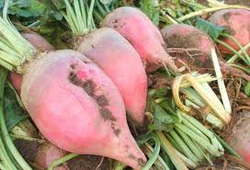 We grow our fodder beet on light stone free land, so it's ideal for chopping with no risk of damaged cutters etc. Ideally we like to drill early/mid April and carefully harvest in early November, then clamp ready for sale in a frost proof store. We have softer palatable varieties aimed at sheep farmers, and more harder higher dry matter varieties for cattle. 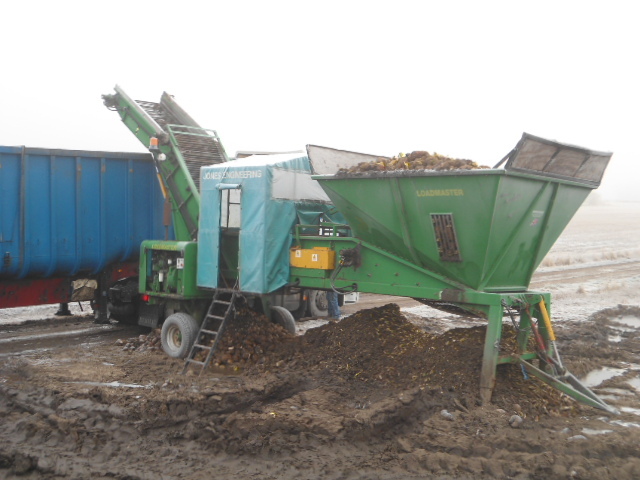 All our beet is loaded over our high capacity cleaner. This machine has the benefit of full picking off facilities, along with excellent cleaning, and trash removal features. We can deliver loads with our own Fastracs, or arrange HGV transport. Alternatively customers are more than welcome to collect themselves.